Autodesk® AutoCAD® Electrical is AutoCAD® software for controls designers, purpose-built to create and modify electrical control systems. It contains all the functionality of AutoCAD, plus a comprehensive set of tools for automating control engineering tasks, such as building circuits, numbering wires, and creating bills of material. 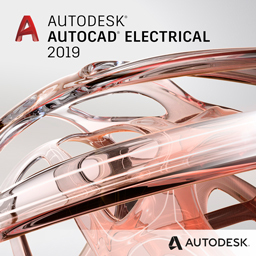 AutoCAD Electrical provides a library of more than 700,000 electrical symbols and components, includes real-time error checking, and enables electrical and mechanical teams to collaborate on designs built with Autodesk® Inventor® software. AutoCAD Electrical offers control engineers a competitive edge by helping save hours of effort, so they can spend more time innovating. international standards, including AS, JIC, IEC, NFPA, JIS, and GB. reports, from bills of materials (BOMs) and from/to wire lists to terminal plans and cable summaries. create more accurate 2D and 3D mechatronics designs in less time. If you’re interested in viewing a software demonstration of AutoCAD® Electrical, please contact our sales team. Applied Engineering is happy to schedule a face-to-face or web demonstration at a time that is convenient for you. Contact us if you are interested in purchasing AutoCAD® Electrical. An Applied Engineering technology sales consultant can normally have a quote to you within hours of your request. Applied Engineering is authorized to sell Autodesk products throughout the United States and has offices in Minnesota, North Dakota, South Dakota and Wisconsin.